Congrats to Tyler, Christopher & David on B2000 Orange! SDSC is proud to recognize three boys on the B2000 Orange team who have been selected for a significant honor. While this is not an athletic award, it shows how dedicated our players are in both athletics and school! 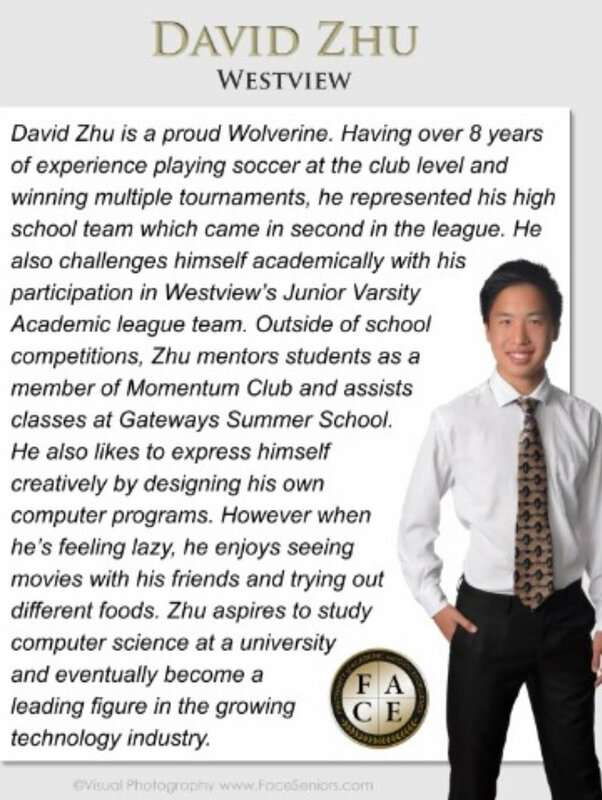 Tyler Cunningham (Mount Carmel High School), Christopher Sanchez (Poway High School) and David Zhu (Westview High School) have all been honored as one of the "FACE's" at their respective high schools. F.A.C.E. the Fraternity of Academic and Civic Excellence, Is a recognition program for the top 30 GPA’s from the Class of 2019. Participating high schools (Del Norte, Mt. Carmel, Poway, Rancho Bernardo and Westview) reside in the Poway Unified School District located in North San Diego County. All F.A.C.E. students have been nominated by their high school’s counseling department. Based on the information provided from each high school, the following honorees GPA’s were tabulated after the first five semesters of the Class of 2019. In addition, these students must have demonstrated a continued commitment to their school and their community. A HUGE congratulations to these boys for being a high achiever in all areas: academics, community and soccer!!! Read more about each player below (click to enlarge photo).